By Matthew Russell Lee, Exclusive audio UNITED NATIONS GATE, April 11 -- The UN of Secretary General Antonio Guterres has refused to answer Press questions about the murder of two South Sudan civilians by a UN peacekeeper from Rwanda, and a new case of UN sexual exploitation by an international staff member from Nigeria -- nationality undisclosed by Guterres' UN - in South Sudan. But while killing civilians and refusing Press questions about it, now there is a strike which has left the UN's vaunted Tomping camp uncleaned. The UN of Guterres refused to answer Inner City Press' simple questions about it. 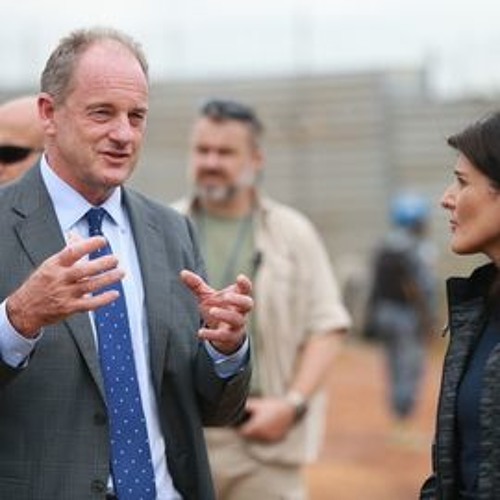 Now we exclusively publish this audio of Guterres' rep David Shearer, deriding IGAD as apathetic, praising now deposed Bashir, saying there is no pressure on Kiir. Shearer should be fired - and Guterres should be impeached. Watch this site for more audio.